Taiwan’s largest telecommunications company, Chunghwa Telecom, has signed a memorandum of understanding with Japan’s Softbank Corp. for collaboration in artificial intelligence (AI) and the internet of things (IoT). The technological and commercial cooperation includes developing use cases for future smart cities in Taiwan. It will also involve ST Solutions Taiwan Co. Ltd., a wholly owned subsidiary of SoftBank Corp. Both companies said they plan to leverage their insights and experiences from the collaboration in AI, IoT and related fields. The partners identified the following areas as the initial focus: global IoT platforms, smart infrastructure, smart agriculture (farming and livestock), and utilization of high-accuracy location data. Chunghwa Telecom has identified opportunities in IoT early on and has been working on building a complete IoT ecosystem in Taiwan. “Together with our competitive edge in cloud resources, we are confident in forming the leading IoT ecosystem in Taiwan,” Yu Cheng, Chairman and CEO of Chunghwa Telecom, said in his Letter to Shareholders in the company’s Annual Report in 2017. In February 2019, the Taiwanese firm announced that it has tapped into the Ericsson IoT Accelerator to spearhead its IoT drive towards enterprise customers. Max Chen, President of Mobile Business Group, Chunghwa Telecom, was quoted in the media release as saying that the company's IoT innovation drive will help local industries to expand their international IoT business horizon. "We also aim to monetize 5G IoT ambitions for our enterprise customers in key segments such as government, finance, manufacturing, retail and logistics," he said. 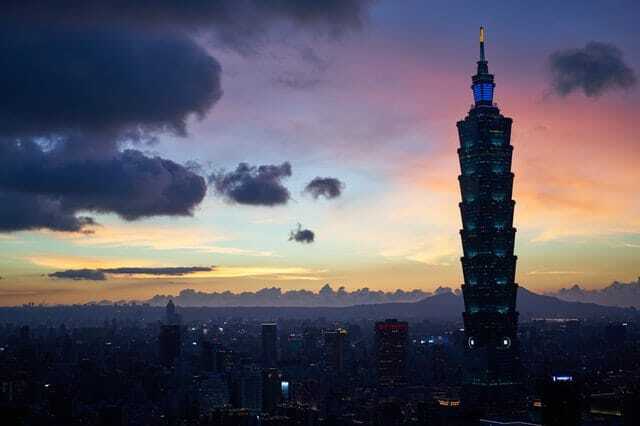 The Taiwanese government itself is bullish on IoT development, having established the Asia Silicon Valley Development Agency (ASVDA) in 2016 primarily to form collaborations among Taiwan IoT alliances and eventually to raise Taiwan’s global market share in the IoT market. In July 2018, the Taipei Times reported that the country’s budget for technology in 2019 will reach NT$120 billion (US$3.9 billion). Meanwhile, Softbank Corporation has supported fast-growing technology companies through its high-profile $100-billion Vision Fund. It has big stakes investments in ride-hailing apps Uber and Didi Chuxing, American shared workspaces provider WeWork and American driverless car company GM Cruise, among others. This month, the company has also announced the Softbank Innovation Fund, a technology fund focused exclusively on the fast-growing Latin American market, with an initial commitment of US$ 2 billion.